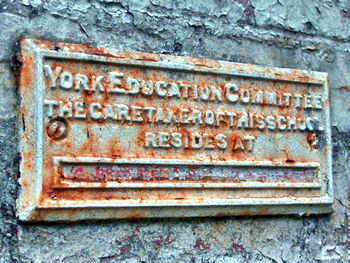 Rusted York Education Committee plaque. Photo by Boba Low. 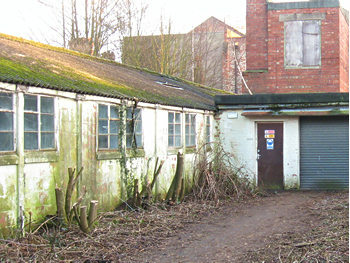 Behind the art gallery are dilapidated buildings seen as an eyesore, with no obvious ‘history’. They are soon to be demolished. 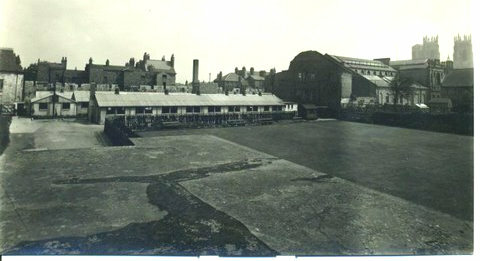 The former service hostel buildings behind York Art Gallery were used after the war as the Marygate Centre, for further education and evening classes. 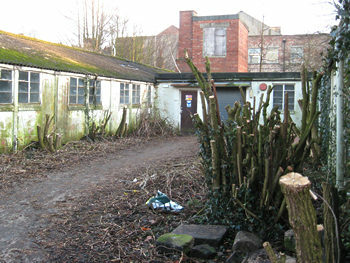 A section was used by York School of Art. The art school already occupied one side of the art gallery, and later expanded to use part of these buildings behind it. Plan by John C.
These photographs show the hutments behind the Art Gallery around the time of their construction, during the Second World War.